it's been hard for me to think what we could do with our blank room. it's currently more of a storage/austin's fly tying room... so it has stuff all over which could also be making it hard to imagine. but we've been slowly clearing it out & we're planning on ordering the crib this week, & painting it within the next few weeks, so it will soon be underway. i'm not wanting to go with a specific theme for the little mans bedroom, i'm not sure why, but i just don't. 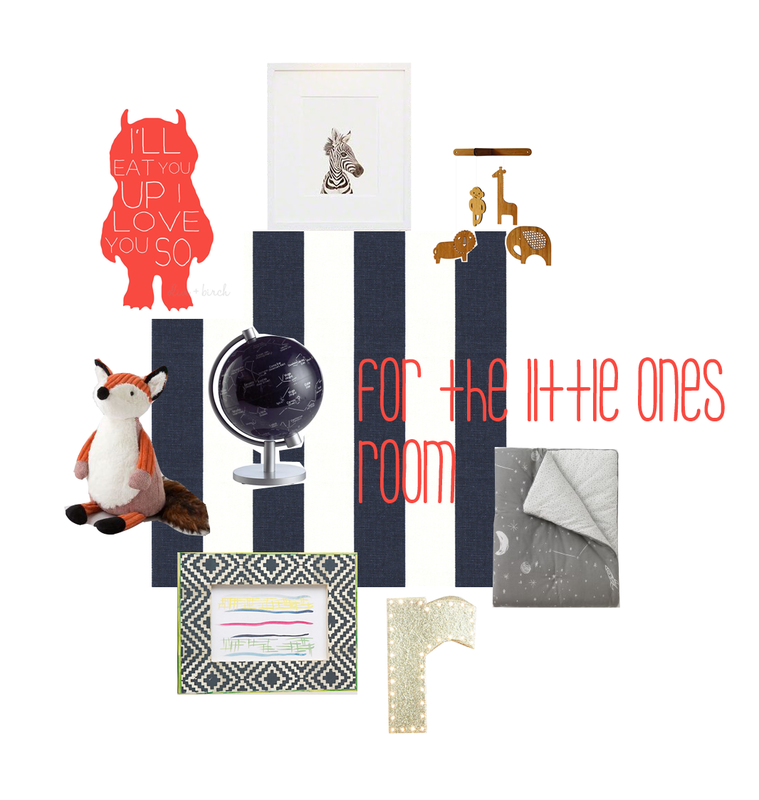 so i've been going back & forth between the idea of doing a single navy striped wall. i don't want it to give the room to nautical of a feeling, but i've been reassured multiple times by multiple people that it won't... so we're going to go for it. i'm not really sure why this little ones room is so hard for me to create. i mean, he's only going to live in it for a year of his life so he isn't even going to remember it! but i still want to love it cause i'm pretty sure we'll be in there a lot! plus, it's my biggest project i have going on right now, so obviously it takes up a lot of my free time thinking! so far, i really like what i have chosen for the room (the crib, striped walls, & bedding) & i'm really excited to see it all come together, i'm really hoping it all comes together as imagine it. links are listed below for where i found everything!